reality blurred is your guide to the world of reality television and unscripted entertainment, from soapy reality shows to strategic competitions to artful documentary series. These pages include original reporting and journalism about unscripted entertainment, including interviews with people who create it; reviews and criticism to help you decide what to watch and what to avoid; and analysis of important reality TV news. It’s edited and written by me, Andy Dehnart, with contributions from people like you: writers, journalists, producers, reality show cast members, and more. I’m a member of the Television Critics Association, and I’ve been writing about reality TV since 1999. Read about who I am, what I believe, and why I do this. reality blurred was the first publication dedicated to covering reality TV news (read the story of its birth). Since it debuted on July 5, 2000, its journalism and writing has been frequently cited by other media. The site was recognized by the Society for Professional Journalists’ Sunshine State Awards as having the best long-form blog writing in Florida. Feedback, comments, corrections, news, tips, and more are not just welcome, they’re an integral part of reality blurred, which needs your contributions. Contact reality blurred. This site covers reality TV. But what exactly is reality television? Definitions vary widely, among viewers and producers and everyone in between. While Survivor broke new ground in the summer of 2000, it wasn’t the first reality show. Actually, real people and their unscripted reactions have been part of television since its earliest days. For one example, there was NBC’s Queen for a Day. Starting with PBS’s early 1970s An American Family and later Fox’s COPS in the 1980s, there have been lots of shows that have advanced the genre. 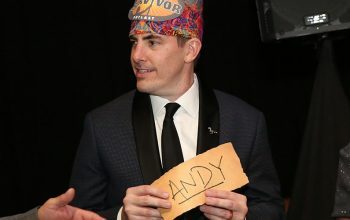 But it was Jon Murray and Mary Ellis Bunim’s The Real World that established the template that most shows have followed since, and they also introduced a competitive format with Road Rules. On reality blurred, I try to cover it all, though I focus primarily on U.S.-based reality shows. I’m often engrossed and entertained by any dramatic, narrative TV show that follows real people in a real or artificial context, which ranges from fun shows to documentaries that inspire social change. Reality TV can have a game element, and in some cases, it can even have different casts from week to week. But all reality television focuses on the lives of real people that have been crafted into entertainment. That’s how reality becomes blurred. reality blurred is supported by advertising and by people like you: the site’s members and patrons, who contribute to help sustain independent journalism and television criticism (and get perks). reality blurred has partnered with Mediavine to handle its advertising. If you’d like to reach passionate reality TV fans, industry insiders, and literate consumers of popular culture, you should advertise on reality blurred. I write essays, features, journalism, and criticism as a freelancer for various publications, such as Vulture, The Los Angeles Times and NPR. I own a few shares of stock in Disney and thus ABC, a gift from my grandmother when I was a Disney-obsessed kid. I teach, present, and consult for various groups. Find out more. Some links on reality blurred are affiliate links, meaning I may receive compensation if you buy something after clicking on it. In my writing, I include links to provide helpful information, and don’t make decisions based on whether or not they are commission-generating links. Public relations representatives sometimes send unsolicited complimentary review and press materials, including swag, in advance of a show’s broadcast; facilitate interviews; or provide other access, such as to set locations. As I hope the writing and reporting on reality blurred demonstrates, none of that affects decisions about what to cover or what to say about these subjects. However, I welcome feedback and criticism designed to keep its coverage accountable. Individual articles are copyright their date of publication by their individual author. The design of reality blurred is copyright Andy Dehnart. For permission to reprint content, send an e-mail message. Comments on stories are welcome, whether you agree or disagree. Comments on reality blurred are hosted by Facebook (formerly Disqus), and may be moderated. They may require you to log in via a third-party service. Read the commenting rules below. Comments are owned by and are the sole responsibility of the commenter, although by posting you give reality blurred one of those fun worldwide, perpetual, non-exclusive licenses to show your comment and use it on the site—but you knew that, or you wouldn’t be commenting. Moderating comments implies no endorsement or anything else, since again, you are responsible for what you write. And don’t post anything illegal or stupid, because you’re responsible for that. Here’s the legal version: All comments within this blog are the responsibility of the commenter, not the blog owner, administrator, contributor, editor, or author. By submitting a comment on our blog, you agree that the comment content is your own, and to hold realityblurred.com and all subsidiaries and representatives harmless from any and all repercussions, damages, or liability. realityblurred.com reserves the right to edit, delete, move, or mark as spam any and all comments, and to block access to any one or group from commenting or from the entire site. Comments are a place for reasonable discussion, argument, debate, and dissent, all of which are welcome and encouraged. Personal attacks against other commenters are not permitted. You may question or argue about content, but not attack individuals. Comments that devolve into ad hominem attacks, intentionally bait others, or are deliberately disruptive may be deleted, and failure to respect fellow participants could result in removal or blocked access. Profanity is fine; illegal content is not. Comments may be deleted at the discretion of the moderators. Links are welcome, but spam and/or self-promotion unrelated to the topic will be removed. Do not post spoilers about results that have not yet been broadcast (see the definition of a spoiler). You may link to such information and discuss it in broad terms, but spoilers will be deleted and the commenter blocked from contributions. While reality blurred always welcome comments and criticism about accuracy, do not report minor corrections or typos in comments, which are for discussion, and which are not always monitored; send an e-mail message instead. For those who care about such things, reality blurred is produced using WordPress, following 11 years of life on Movable Type, and it is built on templates from StudioPress’ Genesis. The logo is set in Bosun, a typeface by Michel Bütepage. Thanks for reading all of this. Slow day at work?